Be the first to share your favorite memory, photo or story of Harryet. This memorial page is dedicated for family, friends and future generations to celebrate the life of their loved one. Harryet L. Tomlinson, 74, of Carbon Cliff, passed away Jan. 6, 2017, at Genesis Medical Center, Silvis. Per her wishes, there will be no services and cremation rites will be accorded. Quad Cities Cremation Center, Silvis, is assisting the family with arrangements. Harryet was born Nov. 12, 1942, in Hulbert, Mich., the daughter of William and Theo Clegg. She married James Tomlinson Nov. 27, 1964, in Hulbert. Harryet worked several jobs in the area after raising her children. 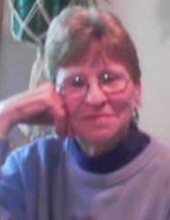 She loved card club and enjoyed golfing, camping and spending time with her grandchildren and great-grandchildren. Survivors include her husband, James; children, Tanya (Kevin) Seward, Mark (Amy) Tomlinson, Richard "Rick" Tomlinson and David Tomlinson; seven grandchildren; four great-grandchildren and one on the way. Harryet was preceded in death by her parents and a brother. To plant a tree in memory of Harryet Tomlinson, please visit our Tribute Store. "Email Address" would like to share the life celebration of Harryet Tomlinson. Click on the "link" to go to share a favorite memory or leave a condolence message for the family.